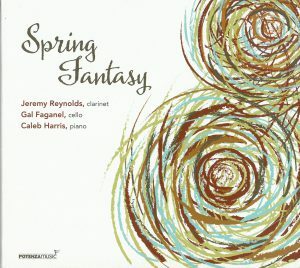 Jeremy Reynolds, Gal Faganel, and Caleb Harris join forces on Spring Fantasy, a polished, excellently performed collection of clarinet, cello, and piano trios from the twentieth century. The booklet supplies liner notes with background on the works and composers, giving listeners a frame of reference for the works, allowing listeners a deeper and more meaningful experience with the music. The cover and booklet are visually appealing, a quality one sees consistently from recordings released by Potenza Music. The recording begins with Nino Rota’s Trio for Clarinet, Violoncello and Piano. Rota is known in mainstream circles as a film composer, but clarinetists also know him for his works for our instrument, as well as his prolific output of works beyond the silver screen. With the first movement, the trio exhibits beautiful tonal quality and there is a nice blend, especially in the cello and clarinet. The second movement begins with a lovely, pensive melody by Reynolds that is imitated by Faganel. While phrases could drive forward with notes connecting a bit more in the clarinet, the overall mood is quite nice. The sustained high notes in the clarinet are very lovely and Reynolds maintains a sweet and controlled sound throughout. The blend between clarinet and cello is especially good at the end, in a moving passage that evokes the last phrases of Max Bruch’s Op. 83, Nos. 5 and 6. The trio exhibits great character in the tone quality for third movement with a bright, dance-like mood. Overall, a delightful opening to the recording. Pavle Merkù states in the liner notes: “My creative process is initiated when an idea starts working within me…if the idea ‘catches fire’ with me, the continuation is just a matter of time.” This is an apt description of his four-movement work Astrazion. The first movement is short, weaving through a simple six-note ascending theme. In the second movement, we start to hear contrasting ideas with a juxtaposition between the angular and smooth, ethereal and dramatic. The third movement opens with harmonics in the cello with the clarinet joining soon after. While the clarinet line could have been subtler in the beginning of the passage to match the timbre of the cello harmonics, there is an airy mood and quality, which fades beautifully into the piano entrance. The third movement is the most engaging and interesting movement of the four, not just for the haunting melodies, but the blend of the instruments and direction of the musical lines by all three performers. The opening of the fourth movement, with themes played in unison by all performers, briefly evokes the “folk tradition” for which Merkù is known in some of his compositions. Like much modernist music, this work is comprised of short movements, so his development of ideas does not extend for long periods of time. Compositionally, this piece is not necessarily the strongest on this recording (with the exception of the third movement), but these performers do an excellent job of bringing interest to the work. Next is arguably one of the best known and most performed clarinet, cello, and piano trios from the 20th century, Robert Muczynski’s Fantasy Trio for Clarinet, Violoncello and Piano, Op. 26. The performance of this trio certainly does not disappoint. The opening is bright, angular and driving with lovely contrasting sections. The first movement displays particularly fine playing from Reynolds; he seems completely in his element within this style and aesthetic. Lovely counterpoint is displayed between the clarinet and cello in the second movement as Reynolds and Faganel’s dynamics are completely in sync as they weave in and out of one another’s sounds. The middle section of the movement is nicely balanced when Harris joins the melodic texture as cello falls to the background. Overall, this is a very engaging performance of the second movement, with sensitive and aesthetically engaging playing by all the trio members. Reynolds’s altissimo notes in third movement are clear without overshadowing the rest of the group. The opening of the fourth movement is an excellent example of the type of ensemble playing that showcases the musicianship and ability of each player, while presenting a cohesive unit that has its own voice and timbre. The playing and presence of the piano is quite wonderful throughout as Harris “brings” these players into the fold and creates many cohesive moments. Additionally, Faganel and Reynolds outstanding rapport is noteworthy. Muczynski mentioned that the work contains “satisfying interplay or ‘dialogue’ for the trio” and these performers certainly live up to the composer’s wishes. The final work, Carl Frühling’s Trio in A minor for Clarinet, Violoncello and Piano, Op. 40 demonstrates a lush, lovely, late-romantic sensibility that lends itself well to this combination of instruments and players. In the opening movement, there is wonderful phrasing by all members and the dynamic sensitivity in the music is clear. As the group grows and fades as a unit, balance is always preserved. In the second movement, the trio displays excellent transitions and rubato, and one cannot help but sway to the pendulum-like meter. According to the liner notes, the third movement “is distinguished by reflective, somber melodic lines in all three instruments. While the level of intensity increases and decreases throughout the movement, the style remains dark.” The trio certainly executes the pensive melodies very smoothly and expertly at the start, but it may benefit from a subtler, almost introspective, interpretation leading to the larger moments about halfway through the movement. Near the end of the movement, the introspection does surface, and these moments left me wanting more of this interpretation. The fourth movement presents a lush, full romantic aesthetic one would expect, and the group captures a “grandness” that suits the finale of this work. Reynolds, Faganel and Harris do an excellent job of interpreting and breathing life into this lesser-performed work. Overall, Spring Fantasy is an excellent recording that clearly demonstrates the immense talents of all three performers. Their balance, blend and overall ensemble of this trio demonstrates the best of what chamber music can and should be. Clarinetist and conductor Brian Viliunas is Assistant Professor of Clarinet and conducts the orchestra at Samford University. Agents of Espionage is a mix of modern works in a variety of mediums, ranging from clarinet, violin and piano trio, to clarinet and piano works, to clarinet with electronics and multi-media. The inside of the CD includes brief notes on each work by the composers. Multiple works by Zachary Bramble and Mark Lackey are featured. The second work on the recording is another work by Bramble: Sonata for Clarinet and Piano. The lovely first movement labeled “Stimmung” (German for “mood”) gently eases the listener into the work and there are some lovely moments exhibited by Viliunas and pianist Kathryn Fouse. The second movement “Fuga” is decidedly more active with some good interaction between the clarinet and piano parts. “Abgerundet binären” (“Rounded Binary”), explores well-performed contrasting sections and moods throughout. Mark Lackey’s Paths of the Seas takes its title from a phrase found in Psalm 8. While the beginning of the work could certainly lend itself to a more “atmospheric” interpretation by Viliunas and Fouse, there are some special moments about two minutes into the piece. Keeping the interpretation towards a subtle and atmospheric quality, where appropriate, would really help the contrasting and dramatic sections stand out. These more active and dramatic sections are especially convincing with Viliunas’ powerful, compact and full sound. There are only a few occasions where the sound goes beyond the breaking point, but it seems to be an aesthetic choice to meet the demands and needs of the music. The title work Agents of Espionage by Bramble for clarinet and electronic medium is the most interesting of the works on this recording. Programmatic in nature, the composer states that the clarinet plays the role of a spy while the electronic track “accompanies the clarinet and is essentially its rival, pushing the clarinet to its extremes in register, dynamic, and color.” The electronics certainly add a great amount of contrasting timbres and driving force to the work and does not distract from the role the clarinet plays: at times the soloist, at other times, adding color and texture to the electronics. Around seven minutes into the piece, the listener is taken on a completely different journey with driving rhythms and a full wall of sound; feeling much like a plot unfolding or action on a screen (one that could certainly lend itself to film score). This work could certainly lend itself to wonderful possibilities with multi-, cross-, or interdisciplinary exploration for clarinetists looking to explore different performance possibilities. Viliunas exhibits excellent clarinet playing as he weaves in and out of textures and roles with a solid command of technique. Ryan Springler’s Spectacular Time exhibits many of the qualities and aesthetics one finds in many multi-media/electronic works. Commissioned by Viliunas, Springler met Viliunas’ parameters when requesting the work: “the body of the piece be slow and contemplative, and…that it include a quote somehow.” The quote “By way of time, which passes, we enter eternity, which does not pass” was spoken by the composer, recorded, and stretched throughout the full duration of the piece, undecipherable to the listener. The work’s compositional structure repeats the harmonic progression and doubles the speed on each repeat as the work comes to a sudden and dramatic end. Viliunas demonstrates great control and effective technique at the end of this intriguing work. The final work on the disc, Mark Lackey’s Particles, successfully evokes the title, with repeating fragments of melody to four distinct clarinet voices “each a sixteenth note behind its neighbor, generating dense, closely-voiced, slowly evolving textures.” It is unclear as to whether or not four different clarinets were performing, as no other names associated with this work were listed, or whether Viliunas recorded each track and placed them together in the studio. Regardless, the music is a strong nod to minimalism, taking the listener on a pleasant journey and displays new and surprising elements upon repeated listening. 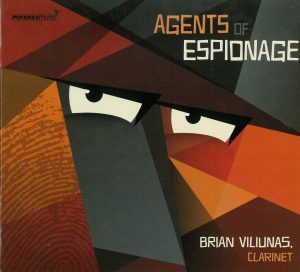 Overall, Agents of Espionage gives clarinetists some new and interesting choices for modern repertoire, especially those interested in clarinet with electronics or multi-media. Viliunas’s playing is good and aptly meets the demands of the compositions, aesthetically as well as technically. Kenneth Long and Jan Berry Baker, both on the faculty at Georgia State University School of Music, present a combination of mostly new and intriguing clarinet and saxophone duo on Citizens of Nowhere. The accompanying booklet gives biographical information and program notes about the works in the composer’s own words. The recording opens with Gregory Wanamaker’s Duo Sonata, arguably one of the best known and most standard works of the clarinet and saxophone duo canon. Long and Baker demonstrate good ensemble and nice blending overall. Mostly, there is a good balance between the two players, as the saxophone can dominate the texture at times. The duo’s interpretation of Duo Sonata tends to lean toward the more angular and vertical side of the work, but the aesthetic is effective. Long and Baker present a solid performance and interpretation of this standard. Citizens of Nowhere, the title track of the recording, by Georgia State University composer Nickitas Demos is an energetic work that engages the audience from the start. Demos’ describes the piece as active, “rootless and constantly shifting,” which is an apt account of the aesthetic. Adding to this sense of constant shifting, Long switches between clarinet and bass clarinet while Baker switches between alto and soprano saxophone. Especially notable is the blend between clarinet and soprano saxophone in the technical passages. Repeated single notes interjected with active, technical passages brings us back to center and gives the listener a chance to “catch their breath” before moving on to more technical passages. Near the end, the lyrical section between the bass clarinet and soprano saxophone demonstrates a lovely, expansive melody. The work itself tackles themes presented in an article by Paul Kingsnorth for The New Statesman. Among this article’s themes, the work addresses the concept of “place;” the prevalence of people blindly occupying generic, universal and interchangeable environments; and challenging people’s desire (or apathy towards) interaction with the communities and diversity that surrounds them. Blur by Lansing McLoskey begins with a series of tones melding in and out of one another, hence, the title of the work. Timbre matching between Long and Baker could be a bit better, which might challenge a listener to wonder whom is playing at any given time; truly capturing the aesthetic of “blurring” timbres and growing sounds out of one another. The middle section of the work is well-played with good rhythmic integrity and nice passage work diverging and coming back together. The end of the work returns to the “blur” section and at times the melding of tones between Long and Baker is accomplished. For performers interested in multi-disciplinary performance opportunities, the artist Rita Blitt created a series of paintings and a video that can be projected while this piece is performed live. While Perry Goldstein’s accomplishments and some quotes about his music are in the liner notes, there are no words from the composer about his work Mischief. However, none are really needed, as the title says it all. This is a most enjoyable light work that engages the listener throughout. Long demonstrates fine bass clarinet playing on this work, and does an outstanding job navigating the technique. Baker does dominate the balance at times, as is common among clarinet and saxophone duos. The unison passages near the end are quite wonderful, with great matching and blend in both instruments. Overall this is a strong composition. Lee Hyla’s We Speak Etruscan is probably one of the most striking and well-performed works on this recording. Long and Baker display a wide range of timbres and moods, allowing themselves freedom from careful or perfect playing. They let the music truly dictate the aesthetic, which allows sounds from their instruments to break with traditional western concepts. This captures something unique and utterly fascinating. With driving beats, extended techniques, and improvisational-like passages, We Speak Etruscan is exciting and a real showstopper. Long and Baker lean into the dissonances, allowing them to drive the musical passages forward. Contrasting timbres in the higher registers of both the bass clarinet and baritone sax within the interlude, marked “sustained, intimate, molto legato,” creates a haunting, engaging mood. Again, as in the Wanamaker and Demos, some exact matching of color could be a good contrast to the more raucous sections, but overall, their interpretation was quite effective. The end certainly does not disappoint. As the work drives forward with chaotic passages and the listener expects a dramatic send-off, it subverts the obvious and leaves us with sustained notes and a gentle fade at the very end. 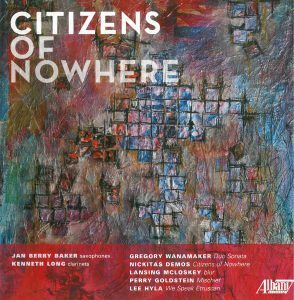 Overall, Citizens of Nowhere demonstrates solid playing by both Long and Baker, as well as some excellent clarinet and saxophone duo repertoire. 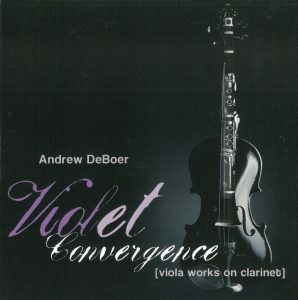 Violet Convergence is an album dedicated to the viola music of York Bowen, transcribed by the clarinetist featured on the album, Andrew DeBoer. The recording itself is very well done with a tasteful balance between the clarinet and piano. 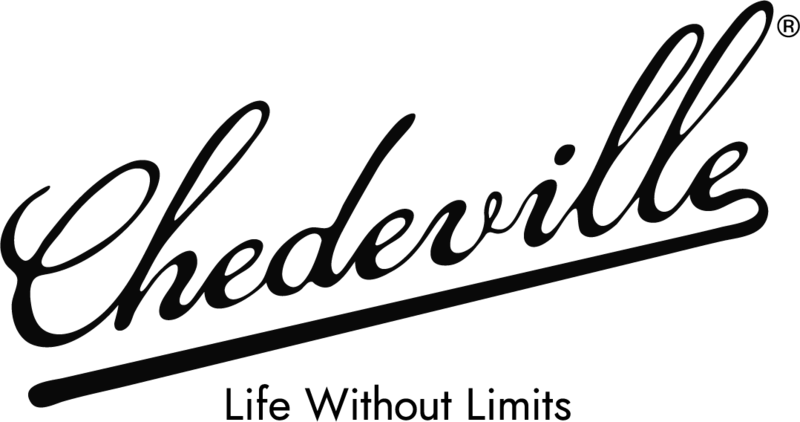 DeBoer’s play is excellent throughout – his tone is warm and open and he effortlessly negotiates intonation and evenness of tone quality in the altissimo register, which is a common occurrence on the album. These works are all beautifully lyrical and offer much to our extant repertoire in terms of depth of musical content and flowing musical lines. What this disc lacks in virtuosity and variety of musical presentation, it more than makes up for in well-executed arrangements that are worthy of consideration by all clarinetists. Hedwig Swimberghe, Sabine Schmitz and Philip Sierens, clarinet; Isidro Santos, bass clarinet; Emilia Zenko, bassoon; Laure Campion, soprano; Inna Poroshina, piano. Nadiya Poklad: Pour Toi for solo clarinet; Danse Fantastique for solo clarinet; Variations for clarinet, bassoon and piano; Les Pensees for solo clarinet; Sonata for clarinet and piano; Une Tendresse for solo clarinet; Una Imagen Espanol for solo clarinet; La Lune et Les Etoiles for bass clarinet and piano; Derwish’s Prayers for solo clarinet; Agnus Dei for soprano, clarinet and piano; Les Versions for solo clarinet; Partite for clarinet quartet. Artist produced. Total time 58:08. Pages of Life is a celebration of the music of Nadiya Poklad, a composer who was new to me. The album has works for solo clarinet, clarinet – bassoon – piano, bass clarinet – piano, soprano – clarinet – piano, and clarinet quartet. The variety of instrumentation is exciting because it offers much in terms of flexibility in programming. The recording itself is generally good but there are moments where edits within pieces are obvious and the intonation between the clarinet and piano is a bit ragged. 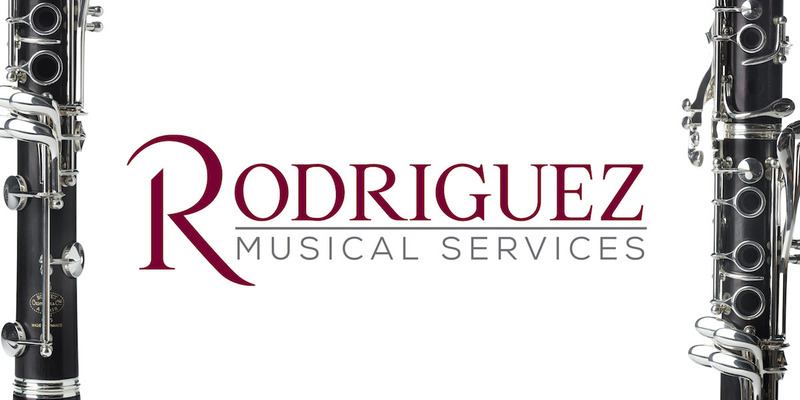 A gem on this recording is the haunting Agnus Dei, for soprano, clarinet and piano. The interplay between the voice and the clarinet is stunning with each part seamlessly alternating between supporting and leading roles. Partite for clarinet quartet is also a virtuosic piece of equal difficulty for each instrument. The demanding articulation in this piece is well executed by each player and the blend and intonation between the voices is excellent. Pages of Life belongs in the library of any clarinetist to hear the charming works by this little-known composer, Nadiya Poklad. This album is dedicated to transcriptions of vocal music with the goal to treat the clarinet as a true singing instrument. 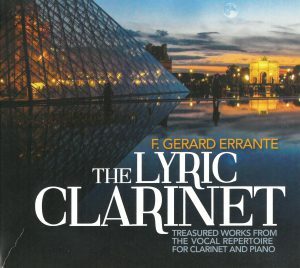 The transcriptions themselves were done by F. Gerard Errante himself and he really has managed to free himself from clarinet dogma and make the instrument as flexible as a human voice. Even though some of the recordings are from live concerts, there is no noticeable difference between those and the studio recordings. Schubert’s Nacht und Traume is a beautiful example of his blend of unique lyricism and stunningly controlled and beautiful clarinet playing. I think his goal of making our instrument sound like a human voice teaches an important lesson about lyricism and musicianship from which we can all benefit.